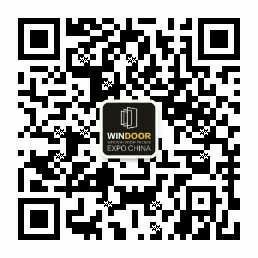 GUANGZHOU KAIWEI ELECTROMECHANICAL CO., LTD.
FOSHAN BOOST SCREEN WINDOWS AND DOORS CO.,LTD. JIANGXI LONG LV ALUMINUM CO.,LTD. Nanchang Rong Kay (Group) Limited By Share Ltd.
Foshan Hengli Decorative Material Co., Ltd.
Foshan Nanhai Dacheng Copper and aluminum profiles Co., Ltd.
FOSHAN SHUNDE GUZHAN SEALANT CO.,LTD. Elkem/Jiangxi Bluestar Xinghuo Silicones Co., Ltd.
WORLDPRO BUILDING MATERIALS CO., LTD.
FOSHAN HONGYING INDUSTRIAL CO., LTD.
Beijing Lantian Xinhai Tech. Co., Ltd.
LIAN JIN MACHINERY CO., LTD.
GUANGDONG SOUTH BRIGHT GLASS TECHNOLOGIES CO., LTD.
XINYI GLASS ENGINEERING (DONGGUAN) CO., LTD.
FOSHAN XIN XIN YE GLASS CO., LTD.